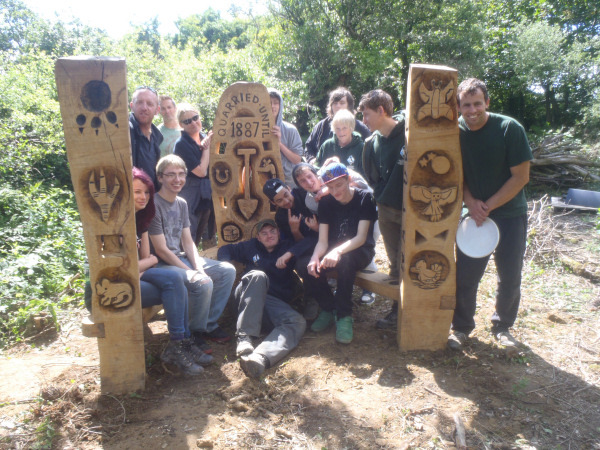 Working with the National Park ‘Discovery Team’ and groups of children, teenagers and adults (incl. 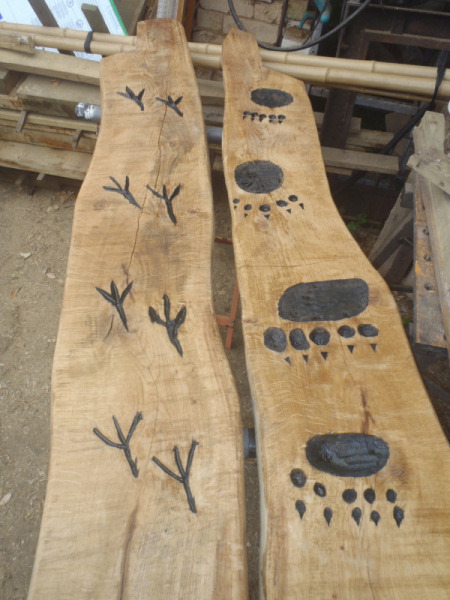 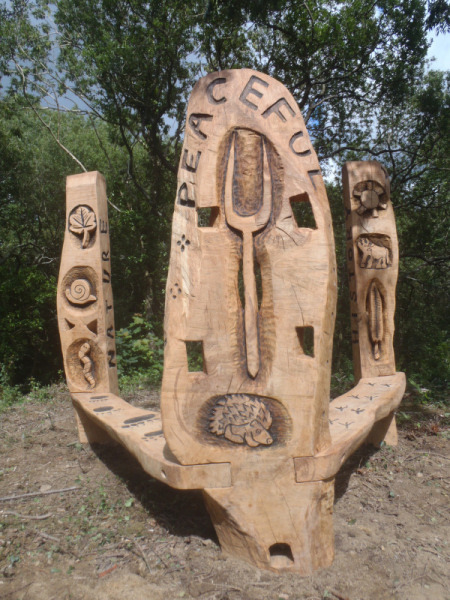 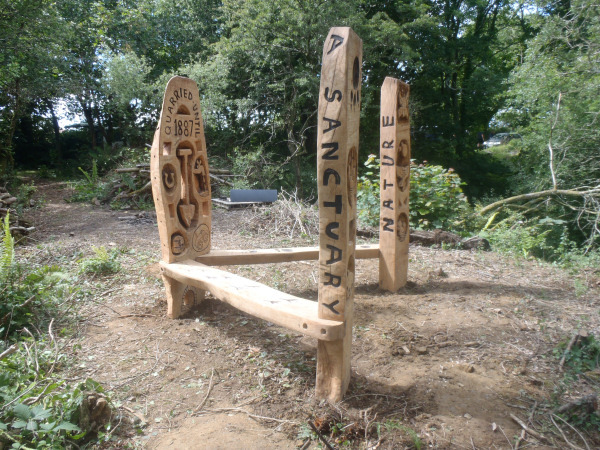 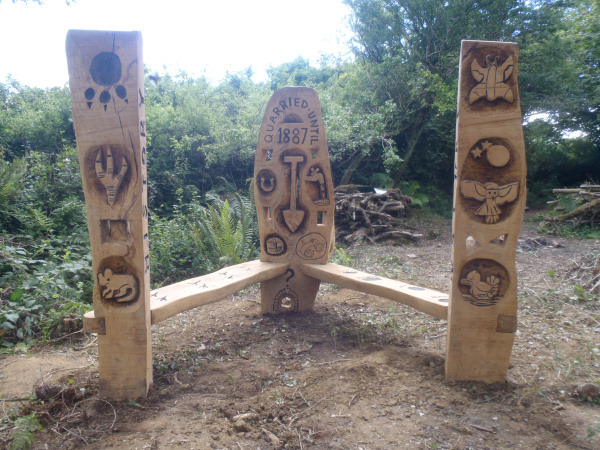 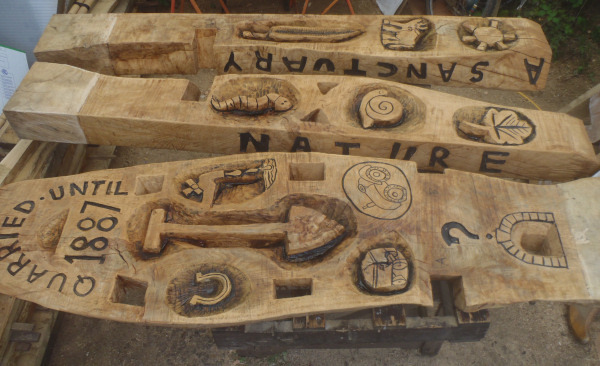 Tasker Milward Youth Group, Portfield School, PCNP Youth Rangers, HAFAL, ‘Your Park’ staff volunteers, and the Pembrokeshire Youth Outreach Team) we designed, carved and installed a seating area on a viewpoint within the Portfield Gate Quarry woodland. 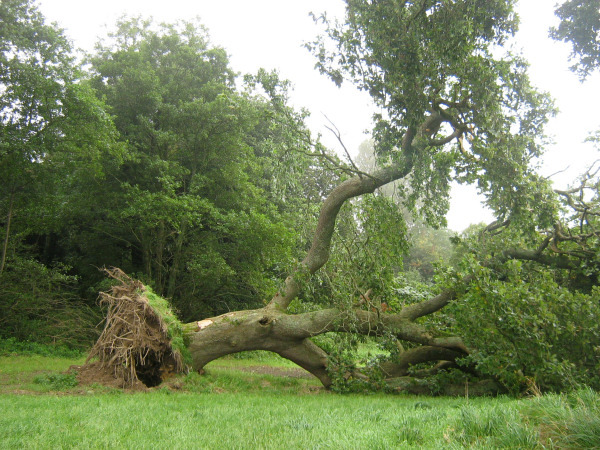 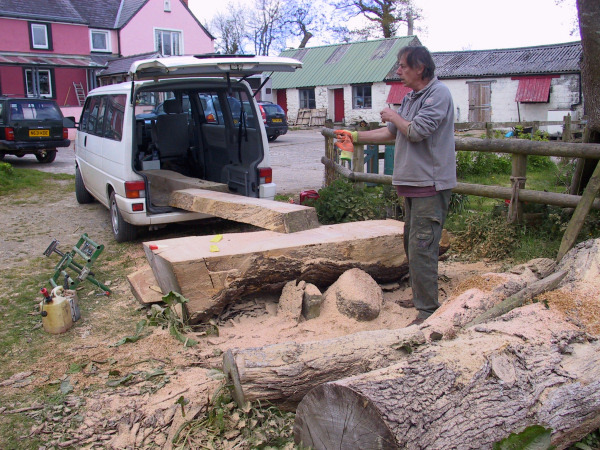 The Oak for the project was sourced from a local fallen tree and chainsaw milled by Murray Taylor of ‘Tree Solutions’ Pembroke. 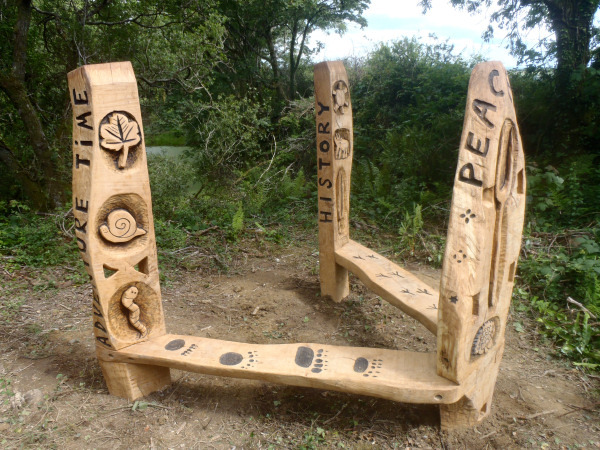 Some of the participants were filmed working on the bench and interviewed about the project by ITV Wales.